Durable, compliant clearcoats provide you with a fast drying, easy-to-use clearcoat with high gloss final appearance. They can be used for any size of repair. Both clearcoats are quick and easy to apply, and to denib or remove any dirt. 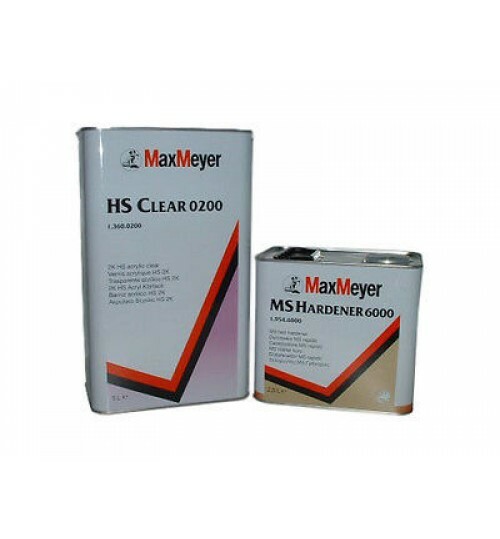 MaxiClear 0200 HS New is a 2K high solid clear which displays excellent flowing capabilities,quick drying and polishing, hardness and gloss. 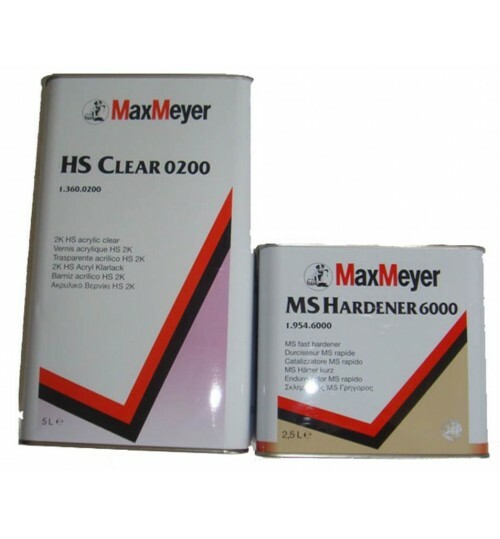 Can be used in conjuction with 4000, 6000, 8000 & 9000 Max Meyer 2K Hardeners and 4305, 4310 & 4320 Max Meyer 2K Thinners. Adaptable and easy to use: No complicated mixing with matting agents. Can be adapted to suit local conditions and vehicle variations. Basecoat blending: No need to go edge to edge or risk colour variation. Easy to denib and remove dirt: Quick and easy repair. Two dedicated clearcoats that can be blended together: Simple and effective choice to cover all full body low gloss repairs.